The power of the President to refuse to approve a bill or joint resolution and thus prevent its enactment into law is the veto. The president has ten days (excluding Sundays) to sign a bill passed by Congress. A regular veto occurs when the President returns the legislation to the house in which it originated, usually with a message explaining the rationale for the veto. This veto can be overridden only by a two-thirds vote in both the Senate and the House. If this occurs, the bill becomes law over the President's objections. 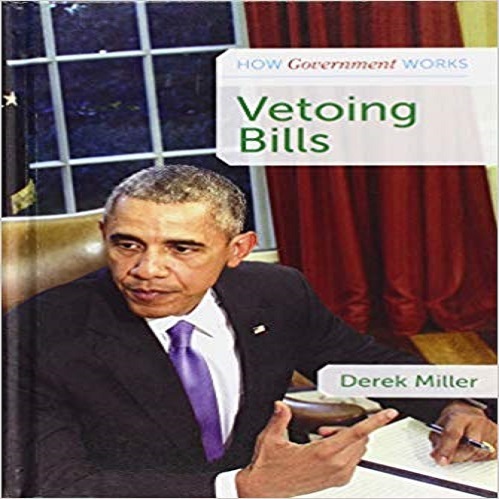 A pocket veto occurs when Congress adjourns during the ten-day period. The president cannot return the bill to Congress. The president's decision not to sign the legislation is a pocket veto and Congress does not have the opportunity to override. Hence, this is why the Speaker of the House has expressed her plans moving forward on March 26. Her bill is to re-introduced a bill or joint resolution that has been vetoed by the President can become law if two-thirds of the Members voting in the House and the Senate each agree to pass it over the President’s objection. The chambers act sequentially on vetoed measures: The House acts first on House-originated measures (H.R. and H.J. Res. ), and the Senate acts first on Senate-originated measures (S. and S.J. Res.). If the first-acting chamber fails to override the veto, the other chamber cannot consider it. The House typically considers the question of overriding a presidential veto under the hour rule, with time customarily controlled and allocated by the chair and ranking Member of the committee with jurisdiction over the bill. The Senate usually considers the question of overriding a veto under the terms of a unanimous consent agreement. Under the new democratic controlled congress, it will be an overwhelming yes to pass the re-introduction. The question lies now whether it goes pass beyond the United States Senate controlled by the Republicans. The recent developments of Republican senators who finally broke the ranks on challenging this President although compelling will still need a two-thirds vote. Two-thirds of the Senators voting, a quorum being present, must agree to override the veto and repass the bill. The vote must be a roll call vote and not a voice vote, due to the constitutional requirement that the vote be by the “yeas and nays.” A motion to reconsider the vote on the question of overriding a veto is in order only if the Senate fails to override the veto. In other words, if two-thirds of the Senators agree to override the veto, a motion to reconsider that vote is not in order. If the Senate fails to override a veto of a Senate-originated bill (S. or S.J. Res. ), then the question of override never reaches the House. The Senate simply informs the House that the override vote on a House or Senate bill was unsuccessful. If the override vote on a Senate-originated measure (S. or S.J. Res.) is successful in the Senate, the bill and veto message are sent to the House for action. If the override vote on a House-originated measure (H.R. or H.J. Res.) 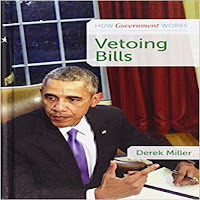 is successful, then the bill becomes law because two-thirds of both chambers have agreed to override the veto. Only after this is successful with this veto be overridden. Hence, this is why is already expected this re-introduction will eventually not get the two-thirds senators to get a "yes". The speaker of the house known from her wits on negotiation for the record is perceive to answer why her next steps plans of re-introduction on March 26. We know, the Senate expected not to get the two-thirds to "yes" but the most important achievement that she and the democrats are aiming to get more Republicans in Congress to break their allegiance to this President. Regardless, the ultimate goal of the partisan endeavor is the separation of powers between executive and legislative that could be a precedent for future Presidents to simply use a National Emergency without going through congress as a tool to abuse his/her executive authority to use discretionary funds that should been enacted through congress. This is also why the democrats is also considering going to the courts. We will see what happens next on this actions.